Good morning! And welcome to the very last Monday Mentionings of 2015! Last week was a short week at work because of Christmas, so Thursday afternoon I headed home for the holiday! Jasper and I had a pretty nice drive home, and I listened to the last 2 episodes of Serial while I drove. I was home in time for dinner on Christmas Eve, and had yummy Chicken Noodle Soup. Got to love on my puppy some too, before going to bed. Christmas morning was spent with Mom, Dad, Kristen, and Thayne, opening gifts and watching the cats roll around with their catnip banana, and watching Shay carefully tear open her packages. 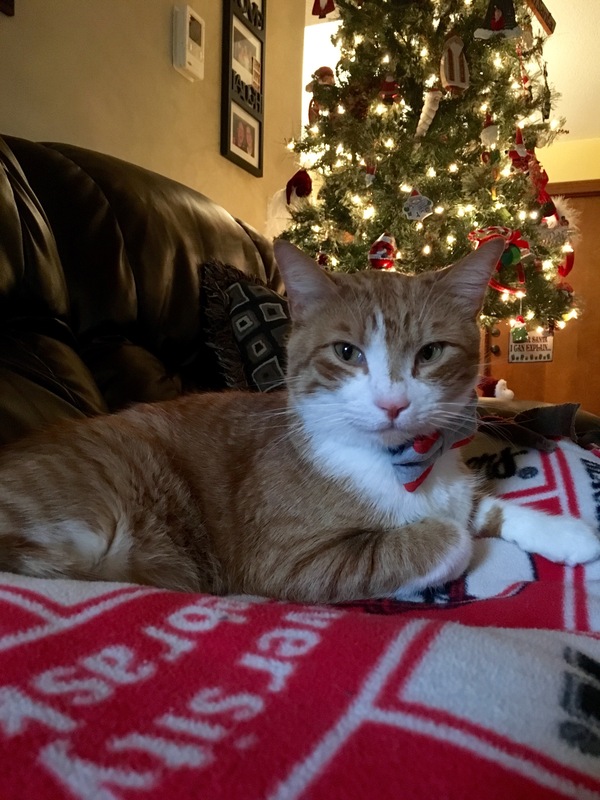 After we opened gifts, we had cinnamon rolls and checked our stockings. 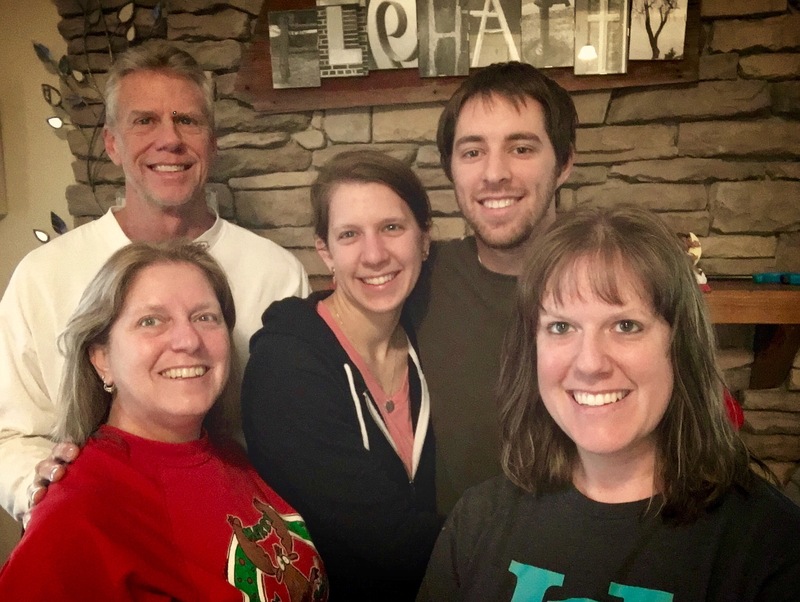 We also used my new selfie stick to get a family picture. Yay for selfie sticks. I love my family so much. 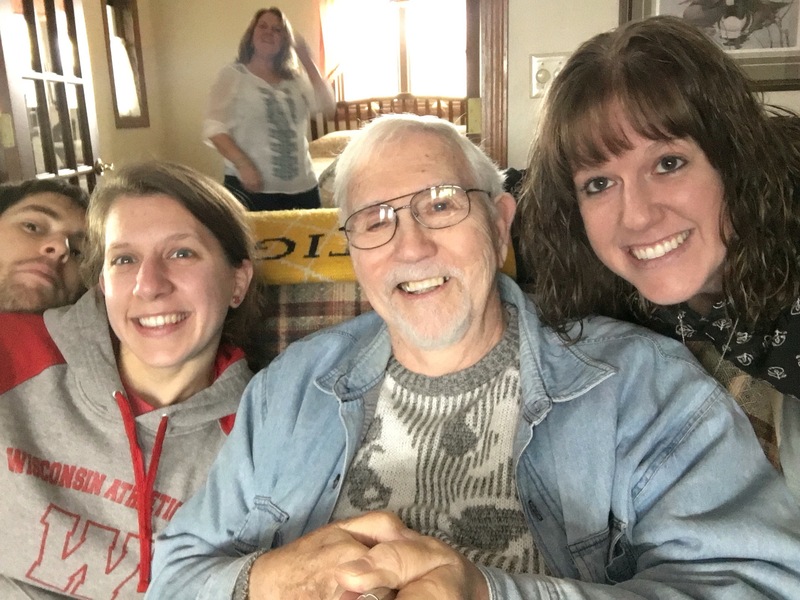 For lunch, we went across town to Grandma and Granddads for pork roast, cheesy potatoes, macaroni corn casserole, and lots of treats, and celebrated Christmas with Grandma and Granddad and my dad’s sister’s family from Topeka. 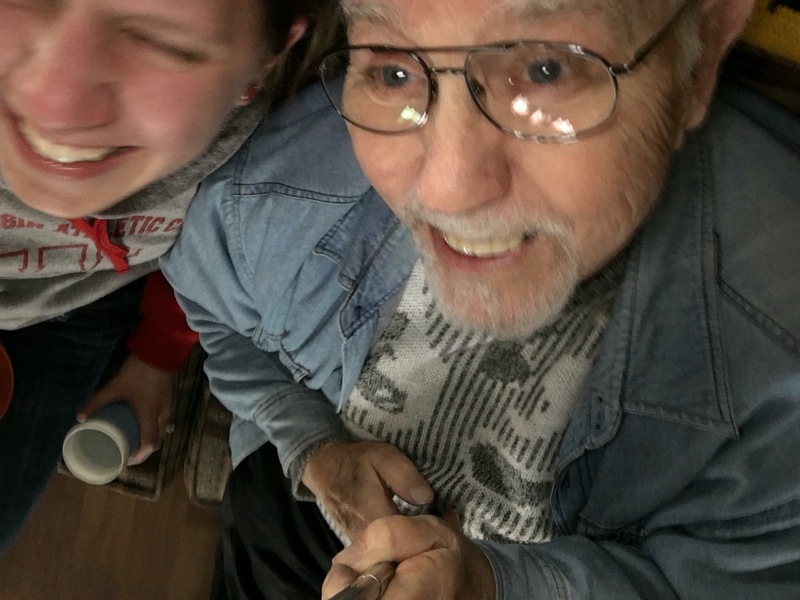 Granddad had fun playing with the selfie stick, and managed to take some great shots. After lunch, we played some games, including Bingo and Exploding Kittens. Grandma won at the first game of Exploding Kittens, and at dinner, she gave us an impression of what their kitten, Tiger, sounds like when he meows when he can’t find them. Rolling laughter, by the way. Grandma does an amazing (and loud) meow. 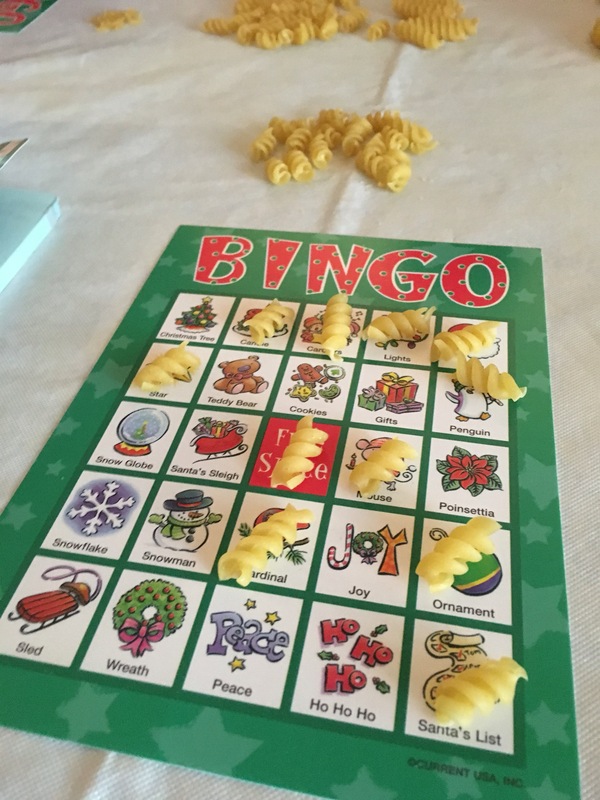 For bingo, Grandma came to the rescue with some rotini noodles since the bingo pieces were missing. 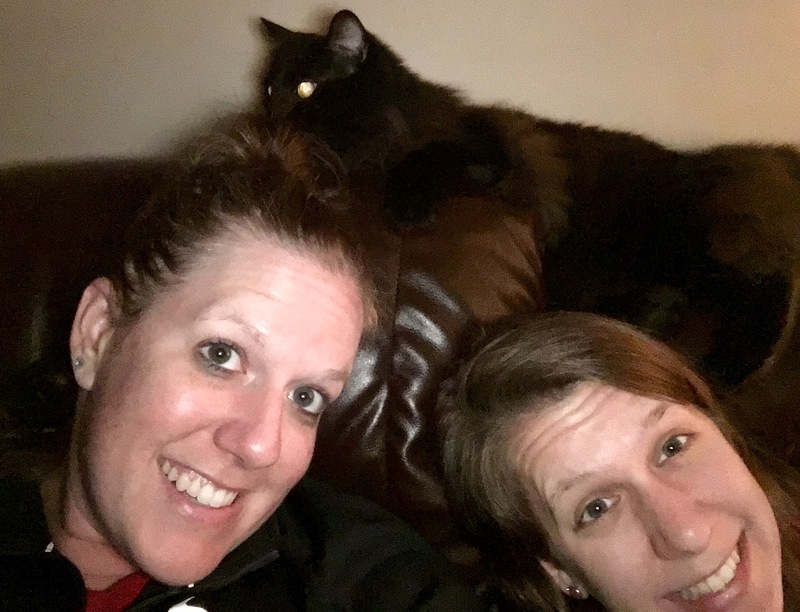 The selfie stick came in handy again taking our family photo, including Tiger, the newest member of the family. All in all, Christmas day was a great day, lots of laughter, family, and food. I got some snuggles in with Jasper before bed. 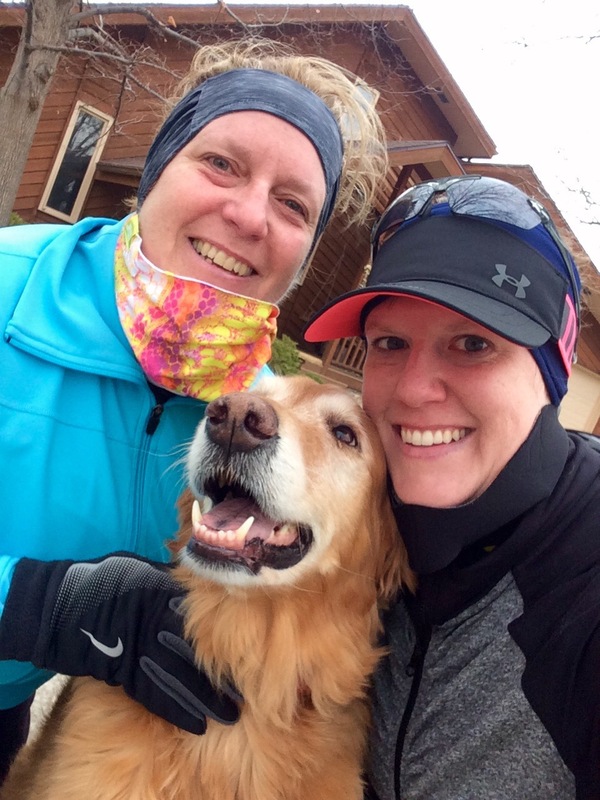 Saturday morning, Mom and I bundled up and ran 5 miles, then took Shay around the block. It was super windy, and pretty cold, but the miles felt good. 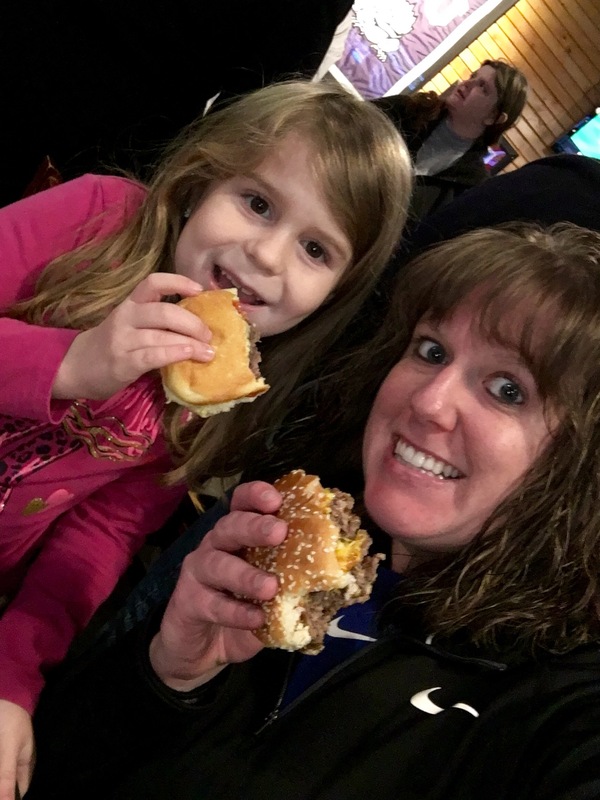 We met Ava, Steve, and Leann at the Q for lunch, and that burger was Delicious with a capital D.
Ava came back home with us after eating, and we played some board games, sat by the fire, and watched some Netflix. 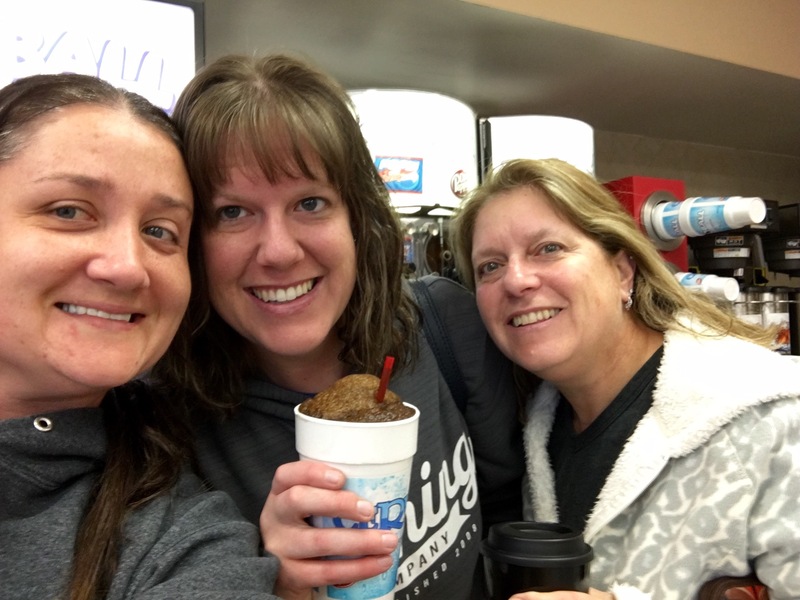 Of course, I went to Cervs several times to get my snoball fix, and saw Maja on one of the trips! By Saturday evening, it appeared Jasper and Gordon had become friends. 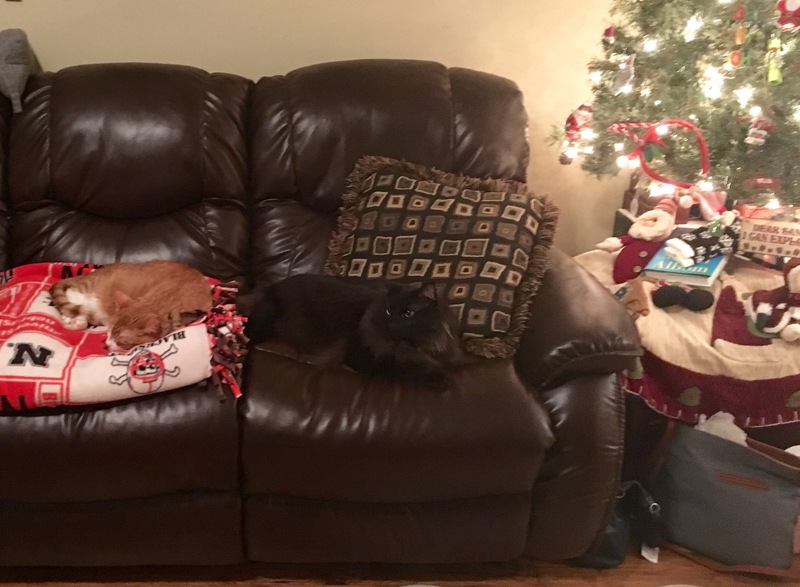 They touched noses several times, and were found laying together on the couch, and later on the bed. 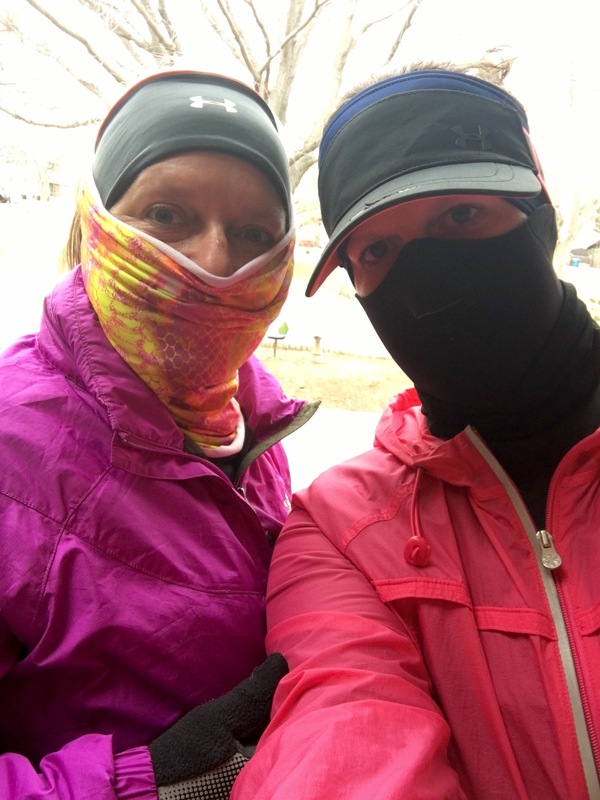 Sunday morning was soooo windy and cold, but we didn’t want to go to the gym and pay to run on the treadmill, so we bundled up even more and went out for a few miles. Man, that wind was rough. In the afternoon, a bunch of the ladies of the family went to Joy. 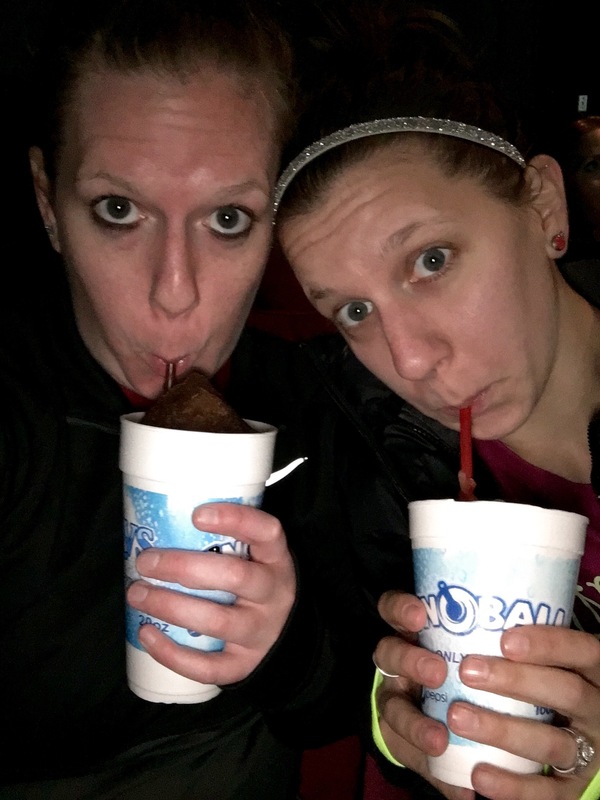 It was a pretty good movie! 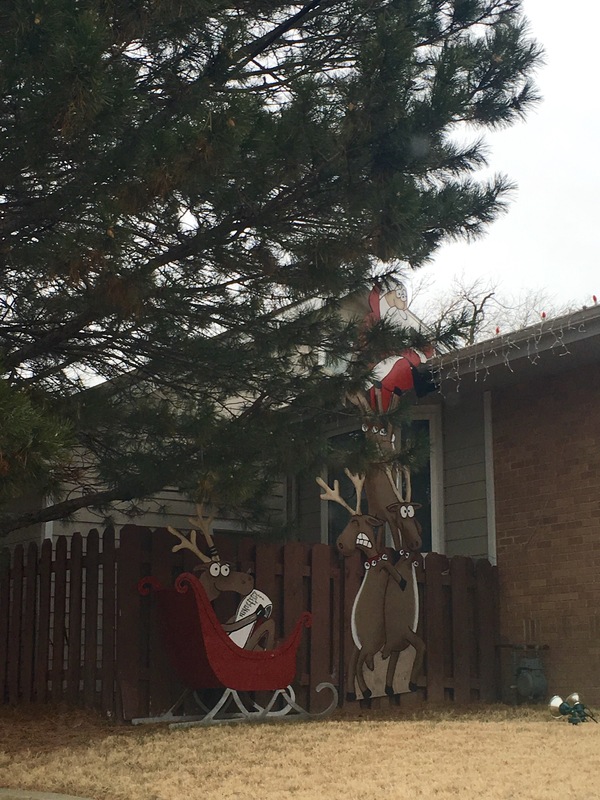 My favorite Christmas decoration is up on the corner of 27th and Willow in Hays, which made me happy. 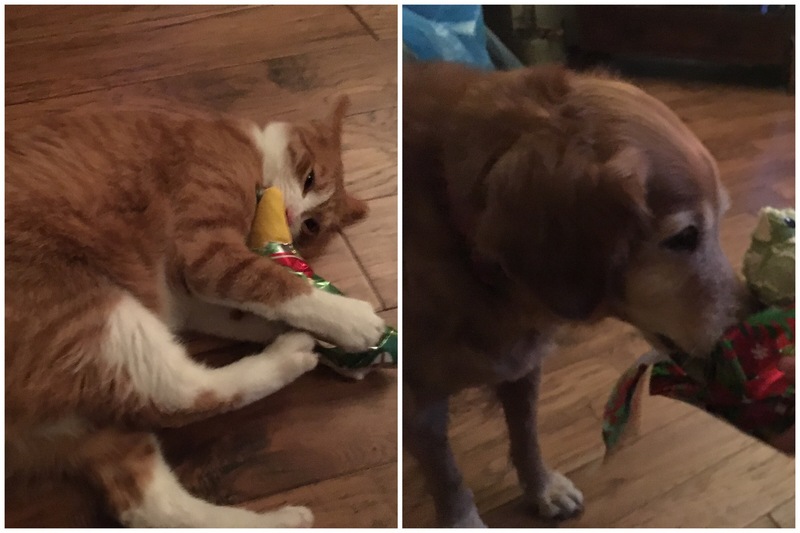 Sunday night, Jasper and Gordon had an incident, and got into a bit of a fight. I thought they were getting to be buddies, but they’ve had a few set backs. Now this morning, I’m trying to figure out if I can or should make it home today. There is no weather here in Hays, but there’s supposed to be a large and pretty crazy winter storm in eastern Kansas, with lots of snow and some ice too, so I’m just not sure how the interstates will be. I’m hoping to make it home, because I’m supposed to work tomorrow! Either way, this week will be a short week at work, and I’ll have another long weekend for New Years! For those of you traveling, please be safe! 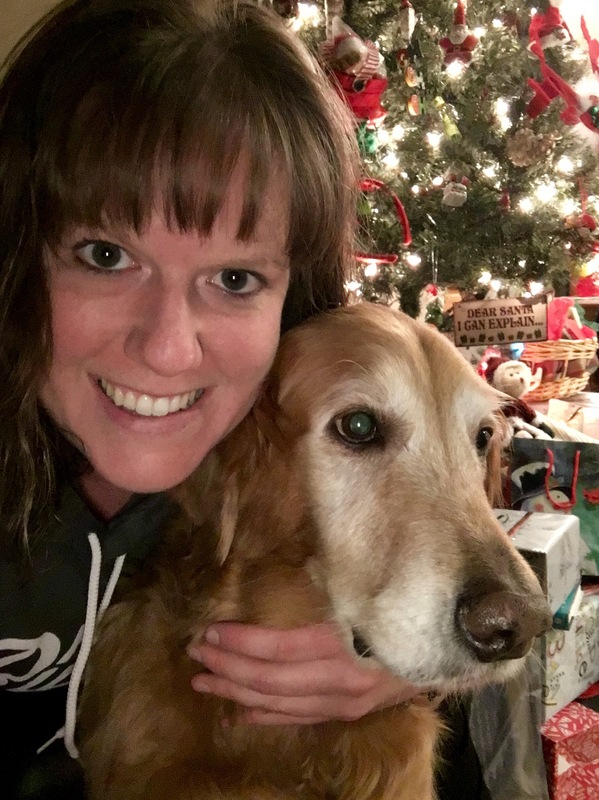 This entry was posted in Ramblings and tagged Christmas, Christmas celebration, Christmas eve, Christmas tree, cold weather running, Exploding Kittens, family, family photo, Golden Retriever, Hays KS, Joy, running, selfie stick, traveling, traveling Cat. Bookmark the permalink.